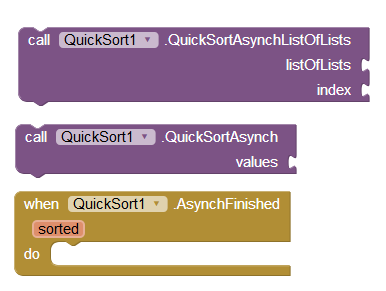 The Quick Sort extension provides a fast sorting algorithm for vast lists of numbers or text. 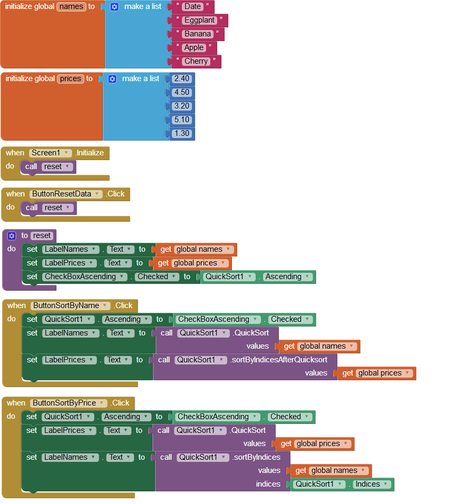 It is possible to make an asynchronous call in an own thread. This block sorts lists of numbers or text in either ascending or descending order. Data structured as list of lists can be sorted by a spezified sublist, just provide the index of this sublist. Naturally, the sublists have to be of the same size. 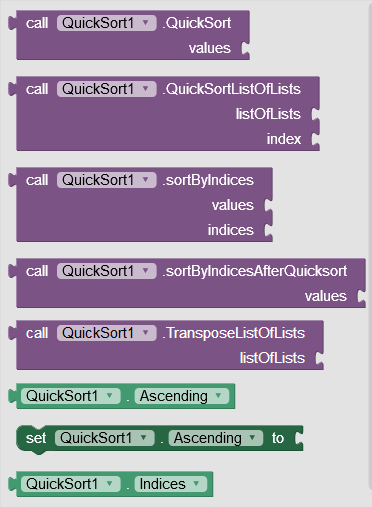 If you have several individual lists that are interrelated, you can sort the other lists according to the index generated by the previous call of QuickSort. For later use, store the Indices list. Transpose a list of lists so that the inner and the outer index switch. These methods perform asynchronous calls in an own thread, so that the user interface does not get freezed. When the sorting is finished, the AsynchFinished event is called. The price of this extension is 8 EUR (10 USD). If you want to purchase it, you can contact me via the contact form. 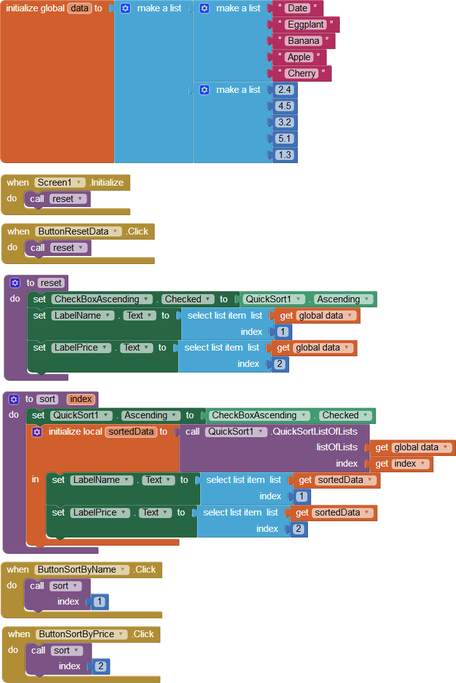 App Inventor is an intuitive, visual programming environment that allows everyone to build fully functional apps for smartphones and tablets. Daniel is a software engineer who is fascinated by the App Inventor project and develops useful extensions that empower people to create complex apps. To get more information, please contact me via the contact form!